MANILA, Philippines- A commuter shared her incredible experience while riding a bus en route to Pacita in San Pedro, Laguna. 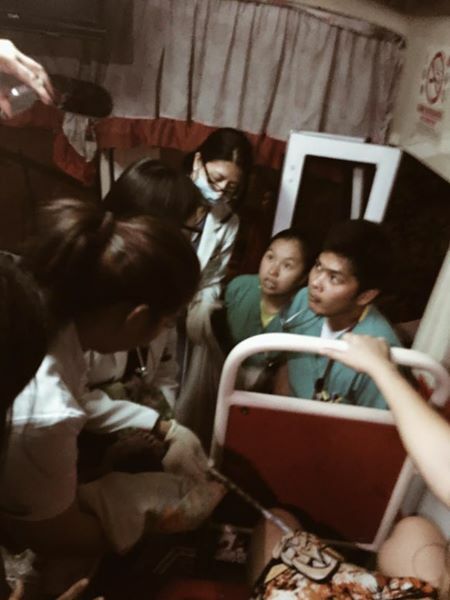 According to a certain Veron Mendoza, her usual rush hour commute turned into one of her most memorable experiences as she witnessed how passengers come together to help a woman give birth inside the bus. The pregnant woman, who was with her husband, started delivering her baby between Sucat and Alabang. Although their bus was not supposed to exit in Alabang, their bus took that route because the emergency situation. Fortunately, a nurse working at St. Lukes hospital happened to be in the same bus and responded immediately. Some passengers including Mendoza gave the bus driver the directions to Asian Hospital. While passengers moms did their part by turning bus curtains as blanket to cover the woman while giving birth, passenger dads used their voices as a siren to help the conductor of the bus. Luckily, the bus finally reached Asia Hospital, where the woman and her baby received appropriate medical attention. “It was a heart warming feeling for everyone who did their part... I've realized that each of us has an important role to play to be united. I think we can all learn from this experience,” Mendoza added. Bayanihan, a core essence of the Filipino culture, is the act of helping out one’s neighbor as a community to help make the job easier and lessen the work load. Also called “community spirit”, traditional bayanihan is best exhibited when Filipinos help their neighbor move from one location to another by lifting and carrying their house or bahay kubo with the help of wooden poles.